It’s safe to assume that nobody is a fan of a tan resulting from over-exposure to the sun. It’s a different matter if your skin is extremely pale and you manage to tan it naturally and evenly. But in most cases, sun tans are patchy and irregular, causing blemishes and dark spots as a result of skin damage. 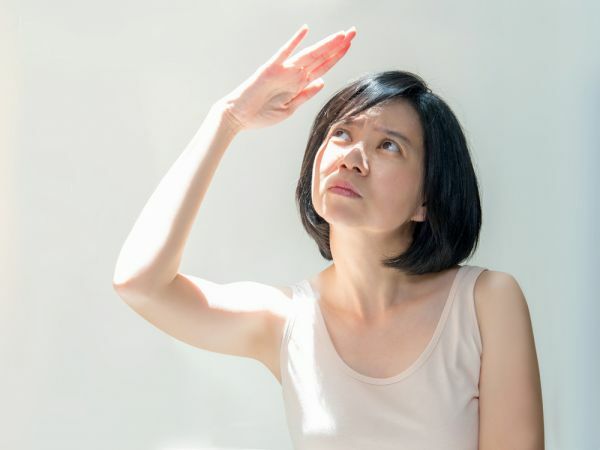 Prolonged sun damage is usually hard to treat, which is why it is important to try to prevent sun damage from occurring in the first place. Besides causing dark patches and spots, sun damage also leads to premature wrinkles! 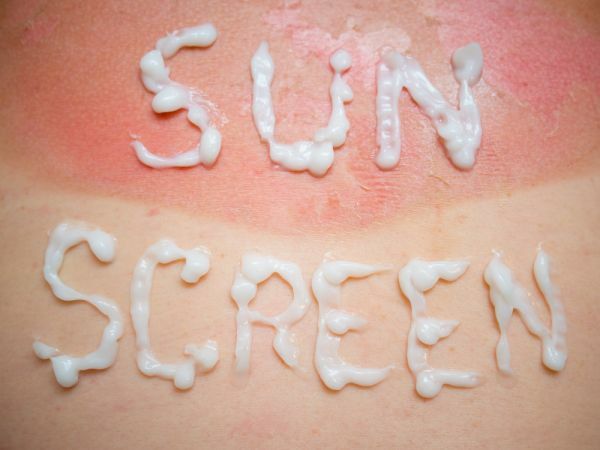 So slather on some sunscreen, and read this guide on how to remove tan. Okay, let’s start with a science lesson. It’s common knowledge that the sun is a massive star that is the most important source of energy for life on earth, as it emits light and heat. One of the types of rays emitted by the sun are harmful to our skin and responsible for skin damage, namely Ultraviolet A rays (or UVA). UVA rays penetrate the lower layers of the surface of the skin, which triggers cells to produce melanin. Melanin is the brown pigment that causes tanning and is the body's way of protecting our skin from burning. Is Tanning Harmful For Your Skin? In one word- YES! There is no ‘safe’ amount of tanning. If your skin has tanned, it means that harmful UVA rays have already pierced deep into your skin. Why is this harmful? Because this kind of skin damage can lead to major skin ailments like skin cancer in the future. Which is why we need to stress on PREVENTING sun damage before it occurs. If you are exposed to direct sunlight for long hours during the day, you need to take extra precautions to safeguard your skin. Read on to know more. Home remedies are your best bet if your tan is extremely light and if you don’t want to spend a bomb on products from the market. These ingredients will be readily available in your kitchen and won’t cause any adverse reactions on your skin. If your tan is severe, there’s only so much that home remedies can do. If you’ve noticed a lot of dark patches and spots on your skin, you need to invest in some good products to treat the tan and protect skin from further sun tanning during summers. 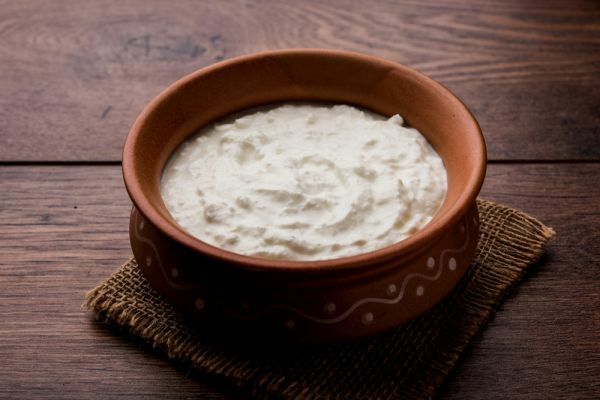 Since curd is a milk product, it helps moisturise your skin and keep it healthy. Therefore, it is one of the best home remedies to remove tan. It clears dead skin cells (which helps lighten the tan) and makes your pores squeaky clean. Step 1: If you have oranges at home, peel off the skin and chop them up into tiny pieces. Step 2: Toss them into a bowl of curd and give it a good mix. Step 3: Apply it to your skin and let it dry for 10-15 minutes. Step 4: Wash it off with cold water and pat dry after. Both ingredients are inexpensive and easily found in your kitchen. Since both turmeric and lemon are known for their brightening properties, when mixed together, you just know that your skin is going to be bright and glowy. Step 1: In a bowl, add 1½ tablespoon of turmeric. Step 2: Add a little more than a teaspoon of lemon juice. 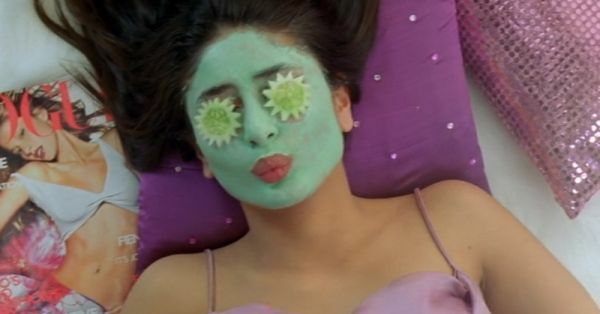 Step 3: Mix them well and apply the yellow paste on your face. Step 4: Leave it to dry for about 5-10 minutes. Step 5: Wash your face with room temperature water. For a radiant glow and smooth skin, you’ve got to give papaya a shot! Not only is this fruit delicious to eat, it’s also one of the *best* remedies for de-tanning your skin. Honey, with its anti-inflammatory and anti-bacterial properties will help soothe and moisturise your skin. Step 1: Take a ripe papaya and mash it to a pulp. Step 2: Empty the pulp into a bowl. Step 3: Drizzle some honey over it and use your fingertips to apply the mask. Step 4: Leave the paste to dry on your face or affected areas for a good 10-15 minutes. Step 5: Wipe the mask off using a warm damp towel. Lemon is known for its brightening effects, but whoever thought that potatoes could have beauty benefits, right? Apparently, they’re quite effective when it comes to de-tanning. Step 2: Sprinkle lemon juice over the potato slices. Step 3: Place them on your face, sit back and relax. Step 4: Take off the slices only after half an hour. Step 5: Wipe your face using a warm damp napkin. 6. 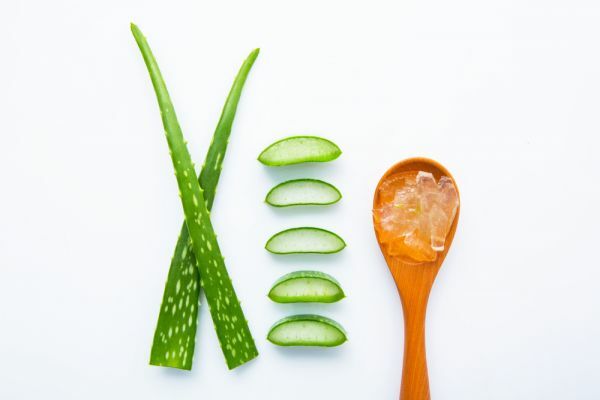 Aloe Gel To The Rescue! Step 1: Pour some cool aloe gel into a bowl. Step 2: Add a teaspoon of lemon juice and mix well. Step 3: Dip your fingers into the gel, and apply it on your face and body. Step 4: Leave it on for a good 30 minutes. Step 5: Wash it off with warm water after. You can use this mixture whenever your skin feels heated and irritated. 7. Scrub That Tan Away! You can follow this routine daily, just make sure you only use the serum at night! Let’s get one thing straight: a tan is the first sign of skin damage, and is usually symptomatic of a bigger problem. The darkening of your skin is just your body’s reaction to the sun damaging your skin. While it is true that the tan will eventually lighten over time, owing to the new skin cells that will be generated, consistent sun damage over the years might darken your skin permanently. However, while tans might fade, the damage caused to your skin is likely permanent. Not only does it lower your immunity, making you susceptible to illnesses, it also causes wrinkles, saggy skin and discolouration. Hence, it is always essential to protect your skin from harmful UVA rays. Read the answer to the next question to find out how you can do that. How Can I Prevent A Sun Tan? The first and foremost thing to do when trying to prevent sun damage and tanning of the skin, would be, you guessed it, to avoid going out in the direct sun altogether. Sadly, the sun’s rays are so harmful that prevention is the only thing that will save your skin. Avoid venturing out during peak afternoon - from 12pm to 4pm. If you must be out in the sun, make sure your skin is not directly exposed to it - wear a hat, carry an umbrella or cover your face with a scarf. Once you are adequately covered and protected from direct sunlight, the next extremely essential step would be to apply a sunscreen with a high SPF, and re-apply it every two hours without fail. The sunscreen can minimise damage caused by the harmful UVA rays, and prevent signs of premature ageing such as wrinkles and hyperpigmentation. Besides that, make sure you consume extra amounts of water if you’re going out in the sun. This will help prevent your skin from drying up and keep you hydrated. How Can I Remove A Tan Overnight? 1. Rub a tomato all over the affected area and leave it on overnight. Tomato has natural acids, which help to gently exfoliate the dead cells from the skin, revealing a newer, tan-free layer. 2. Take half a cucumber, slice it, and toss it into the blender. Add the juice of one lemon, and blend the two together. Now, apply this pulp to the affected area and leave it on overnight. The brightening properties of the lemon and the cooling properties of the cucumber will put you straight on the road to recovery! 3. Thinly slice some potatoes and place them all over the affected area. Potatoes have lightening properties. It would help even more if the potato was earlier stored in the fridge, as the cooling sensation will calm your skin. The bottom line is: the sun’s always out to get you, so don’t forget your sunscreen, kids!